he WA 80 series impresses with its enormous stability. 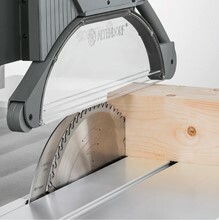 This means for you, no matter what material you are working on – whether it is panels or solid wood – the WA 80 masters every challenge thanks to a maximum saw blade protrusion of 150 mm. Another important feature: the variety of options. 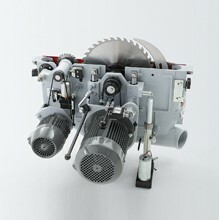 For example, a maximum drive power of 7.5 kW or a maximum cutting length of 4300 mm is possible. You can equip your machine according to your needs! 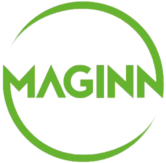 This has the advantage for you that your machine fits perfectly to your workshop and your workflow. 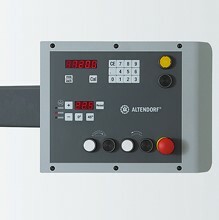 Number one for ease of operation and ergonomics: The eye level control panel of the Altendorf WA 80 X can be pivoted to the most convenient position for the operator. The rip fence is motorised. Square cuts and mitres are both carried out using the same crosscut-mitre fence. The rip fence is smooth and precise to adjust. The hard chrome-plated round bar ensures the fence moves smoothly. 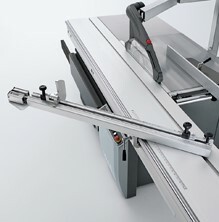 If you need to divide large panels, you can swing the rip fence away under the level of the machine table. This fence simplifies crosscuts and mitre cuts because it does both. Switching between front and rear positions on the cross slide can be achieved without lifting the fence. In either position, the mitre angle can be adjusted by up to 49° using a scale. 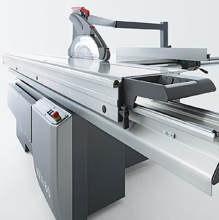 Even when the fence is angled, a large supporting surface area is available for workpieces. 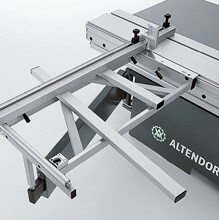 The large Altendorf extraction and safety hood system boasts a design which ensures optimised airflow. You can switch between narrow and wide hoods in seconds. 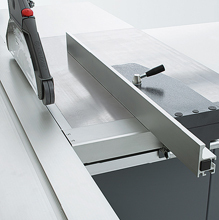 The hood allows cutting heights of up to 125 mm (with or without scoring unit) and can be swung away fully to one side. 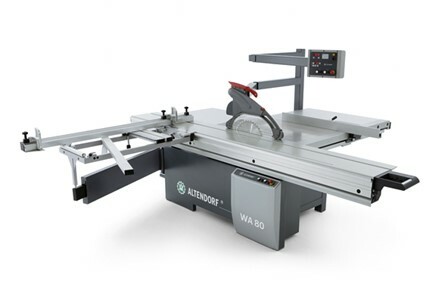 The WA 80 has a torsion-resistant machine frame built in the same way as the machine frames for the F 45 series. The frame design ensures very smooth running and stability. The machine frame is fully enclosed.